I was ready to fight with Amazon because my book hadn't arrived and I kept getting delay notices but I just got home and found two copies. Allen Beaulieu- Your work is amazing. 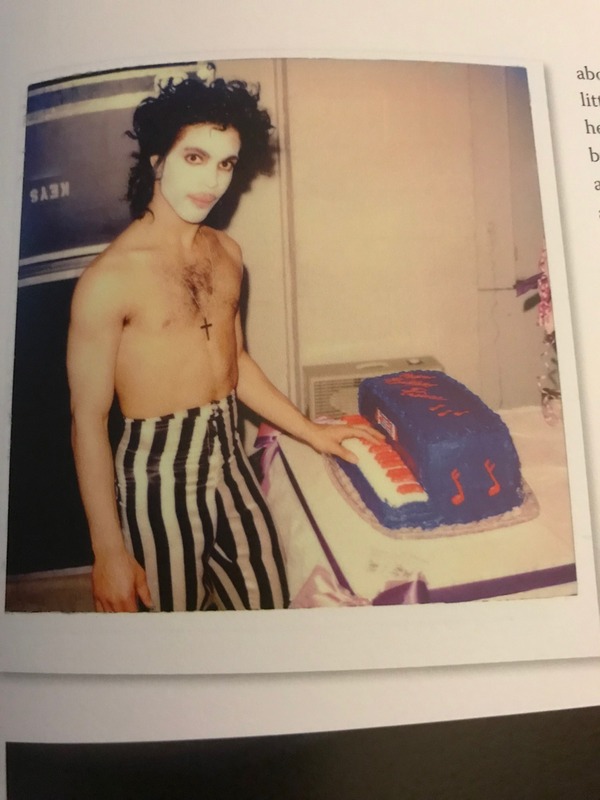 I was a child of around 10 to 13 during the "Before The Rain" days and I have to tell you that many of your pictures are what helped make me the lifelong Prince fan that I would become. Thank you for doing what you did then and for sharing with us all now. Orgers- What no one but me just totally LOVED this picture? If U read my post. I said the pics made up for the errors in the book. It's my favorite book. Because I remember this period vividly more than anyone else. "Learn the story behind Prince's Dirty Mind album cover in part 2 of our video series with photographer Allen Beaulieu on his new book, "Prince: Before the Rain"." "In Part 3 of Storied, Prince: Before the Rain, Beaulieu talks about touring with Prince and how they developed a friendship." "Join us tonight, Nov. 1, at @efetusmpls for an inside look at 'Prince: Before the Rain' with photographer Allen Beaulieu, music journalist Jim Walsh, special guest Dez Dickerson & music by Curtiss A. Event starts at 7pm. Finally received the book and it's great but somehow I think this book could have been a serie of books because I think Allen Beaulieu has a lot more pics and this is just the tip of the Iceberg so to speak. He could do a book per era or album, that would be amazing. its a thing of beauty! & an essential to your collection. THIS IS THE GREATEST PRINCE RELEASE THIS YEAR!!!! Nothing comes close to this release this year. This is a must-have purchase! really hoping orgers dont spoil it too much & post lots of pics on this thread. "Allen Beaulieu and Dez Dickerson in conversation with Jim Walsh at the launch of Allen’s book Prince, Before The Rain Great stories of life in the road with Prince!" Has anyone noticed that the book has been out-of-stock at Amazon for a week or so now? Maybe a 2nd printing soon? I wish I would have purchased sooner. The USA and all European Amazon websites have it in stock so you can get it from a large number of web locations and many other online book retailers. "In Part 4 of Storied, Prince: Before the Rain, Beaulieu reacts to Prince's death." Nancy Bundt and Jeff Katz are a must!!! Missed it if this was already posted, but here is a guy flipping through if you want to see the photos. If you don't, don't click, simple as that. I used to have that full size poster of the pic at the 18:16 mark and it was always a favorite. Man, some really great photos here!